Weddell Seal – the southernmost pinniped in the world. In what is known as reverse sexual dimorphism, males are generally smaller than females. A newborn pup has a coat of long hair, called lanugo, which they will shed within the first month as the protective layer of blubber is developed. 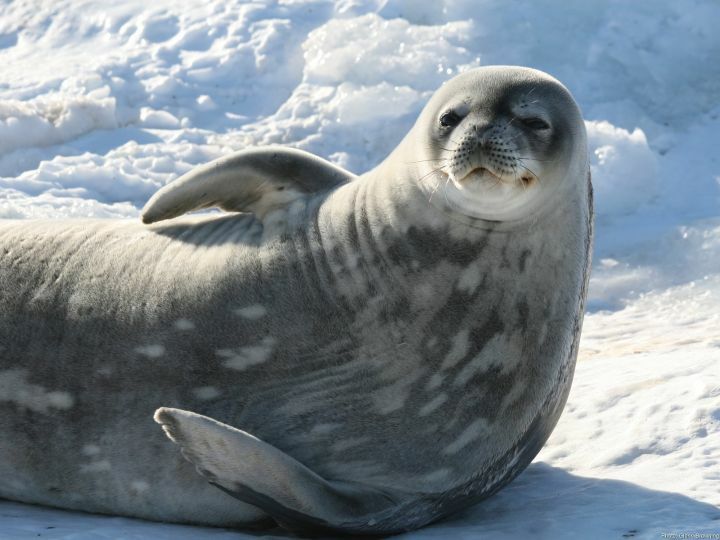 Listen to a Weddell Seal underwater.